The only inflatable playground for all Space Voyagers! 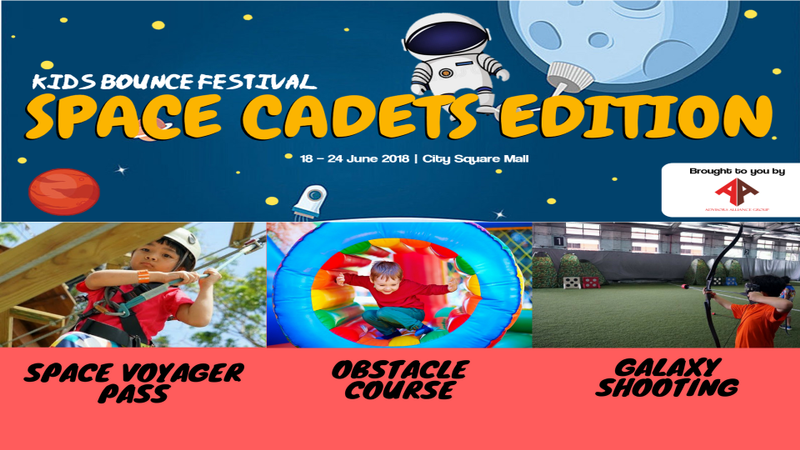 Space hop and rocket your way to victory and unleash your potential at Space Cadets Kids Bounce Festival Singapore! Come experience our space hop obstacle course that will challenge your strength, agility and stealth! Stations include, low wall, mazes, slides, tunnels. Plus, many more exciting activities for the family to bond such as galaxy shooter, face painting, and many more! It is an event you truly cannot miss this! Free for adults.